Former Glentoran winger Stuart Elliott has returned to the east Belfast club on a one-year contract. He left the Oval in 2000 and enjoyed a successful career in England and Scotland, most notably with Hull City, Motherwell and Doncaster Rovers. 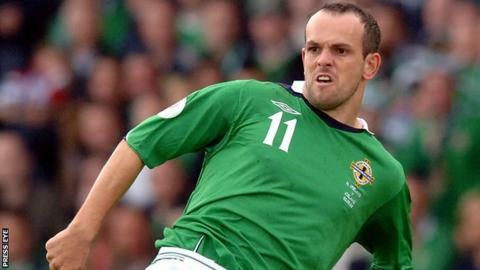 Elliott, who has played 39 times for Northern Ireland, left Hamilton Academical in 2010 to go into the Christian ministry. He will not be in the Glentoran squad for Saturday's big clash with Linfield. Although eligible, it is understood the 34-year-old will be given time to achieve match fitness before making his return to Glentoran colours. His return was mooted some weeks ago but the cash-strapped Glens were not sure if they would be able to afford to offer Elliott a contract. Elliott came through the youth system at Glentoran in the 1990s and made an impact as a pacey, skilful attacker, known for scoring spectacular goals and his cartwheel celebrations.